Rolling Mill Automatic Flatness Control (AFC) – TelePro, Inc. The TelePro/SSE AFC system consists of integrated control of work roll bending, HGC tilting, variable roll crown shifting (if available) and multi-zone work roll cooling to minimize deviations between target and measured exit strip stress distributions. The application software is implemented in the ANSI/ISO Standard C and C++ programming languages. 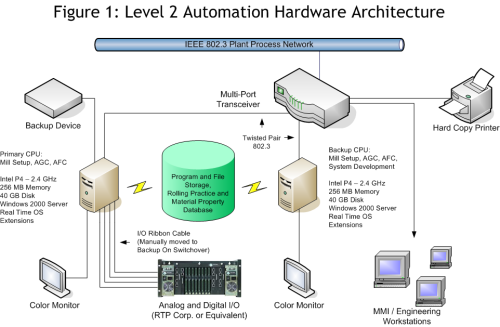 The AFC functions are typically performed in the same PC-based computer system hardware used to implement the automatic gauge control (AGC), interstand tension control (ITC) and mill setup models. The following schematic diagram shows the overall layout of the AFC system for a 4-high mill with CVC work roll side shifting. Since overall performance of the AFC system depends strongly on the accuracy of the sensitivities used, model-based actuator influence sensitivity vectors are used instead of polynomial or other approximations. 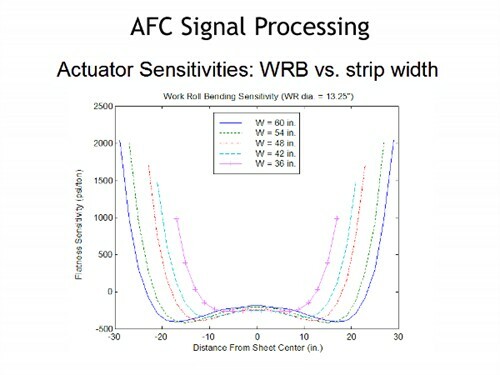 The following diagram shows examples of influence sensitivity vectors calculated for the work roll bending (WRB) actuators at various strip widths. After the shape error has been decomposed and the required actuator corrections are determined, the symmetric and asymmetric control functions simultaneously move the mechanical actuators (roll bending, CVC roll side shifting, and HGC tilting). The actuator movements are coordinated to eliminate shape defects characterized by the shape influence sensitivities for these actuators. The response characteristics of these controllers depend on actuator dynamics and mill speed. 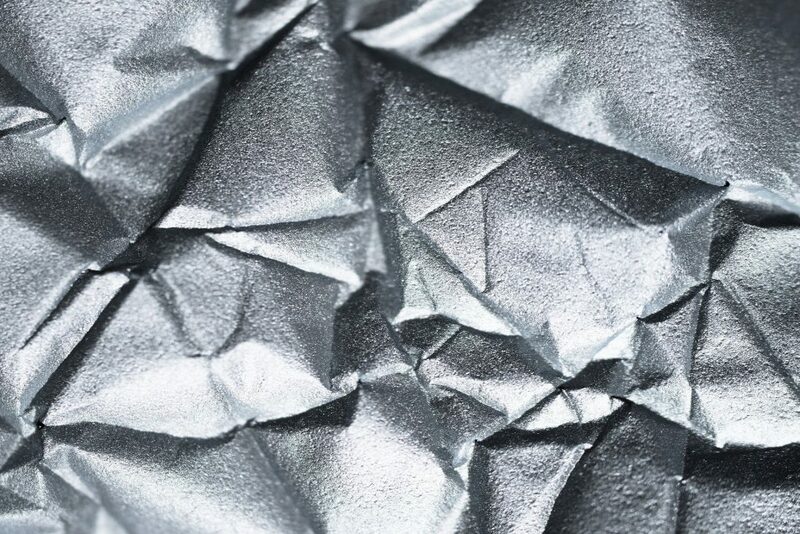 The TelePro/SSE AFC continuously calculates controller gains in order to optimize closed-loop response at every mill speed, taking into account changing material transport delay and CVC shifting rates. The symmetric control function includes a feedforward mechanism to anticipate and reject shape disturbances associated with roll separating force changes occurring during acceleration and deceleration, or due to incoming material variations. The zone cooling control function varies the individual zone cooling rates to remove residual shape errors that remain after the mechanical actuators have made their corrections. The zone cooling control also monitors the overall spray pattern to maintain a specified average level of coolant flow and to reduce asymmetry in the coolant distribution. Product-dependent flatness actuator influence sensitivities calculated for each coil using fully-discretized roll stack deflection and strip shape models. Model-based decoupling of mechanical bending, tilt, and lateral roll shifting actuator controls from the multi-zone spray control. Multi-zone spray controls consisting of both residual shape and average spray level controllers. Delay-compensating feedback control algorithms continuously calculate controller gains to optimize system response at every rolling speed. Feedforward bending control based on separating force changes using fully discretized shape influence vectors to improve bending control during acceleration and deceleration and when changing gauge at coil heads and tails. Product-dependent selection of preset spray pattern, average spray target level, and exit stress distribution target. AFC control functions are performed at a 50-millisecond rate. Real-time process inputs, including shapemeter feedback, work roll bending pressures, and HGC cylinder positions and pressures, are acquired via high-speed digital communication link or by analog interface, depending on digital link performance, sensor capabilities and customer preference. Typical digital communication links include real-time ETHERNET and reflective memory interfaces to mill drive controls. Outputs to the work roll bending, HGC tilting, lateral roll shifting and work roll zone cooling device controls are via high-speed digital communication link or by analog interface, depending on control device capabilities, digital link performance and customer preference. Additional system monitoring displays for actuator reference summing and product-dependent shape influence sensitivity calculation functions. The system is implemented as a stand-alone AFC system. However, the same computer is typically used to host automatic gauge control (AGC), interstand tension control (ITC) and model setup calculations. The computing platform is the TelePro Tsentry product. It consists of an off-the-shelf Intel Pentium-class PC running the Windows 2003 Server operating system with VenturCom RTX real time extensions. This system comes complete with all facilities required to support deterministic real-time program repetition rates as fast as 1 millisecond. In addition to performing sheet flatness control, the system includes both real-time and historical trending. Tsentry also provides a general-purpose real-time computing platform that includes all facilities and libraries required to allow the end user to develop and implement custom process monitoring, control, signal processing, and human-machine interface (HMI) applications. This system interfaces to several varieties of commercially available process I/O hardware and is capable of performing all process control and human-machine interface functions required for mill control. It was developed specifically as a high-speed real-time process control system platform. In addition to the HMI display unit installed in the operator's pulpit, additional HMI workstations can be located throughout the production complex: in computer rooms, maintenance work centers, and offices. Any of these workstations can be used to display the operator's display as well as any of the controller monitoring screens. Examples of the maintenance support displays for AFC are shown in the Figures 3 through 5. 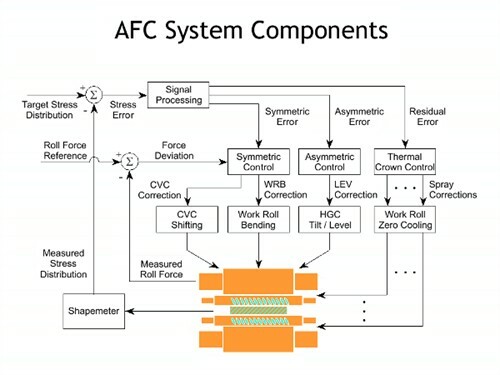 Figure 3 is the top-level block diagram display for the work roll bending controller, which accepts a control increment from the AFC signal processing function and generates a work roll bending force (or pressure) correction. Figure 4 shows internal detail for the work roll bending PID controller. Figure 5 shows the AFC activation logic. Similar displays are provided for the HGC tilting, CVC roll shifting and zone cooling controls. The full AFC system consists of approximately 30 HMI and system monitoring/support displays. Clicking on various portions of the diagram with a mouse device provides additional levels of detail. For example, clicking on the box marked "PID Control" produces the display shown in Figure 4. Boxes at the lower right of the display are real-time variable trend plots and vector displays of critical controller variables. Gains KP, KI, and KD are controller parameters calculated continuously as functions of actuator response dynamics, mill speed, and desired closed-loop response. Gains CP, CI, and CD are commissioning values with nominal value 1.0 which can be changed directly on the display.